The opponent cannot use 'Tactical Retreat!!'. 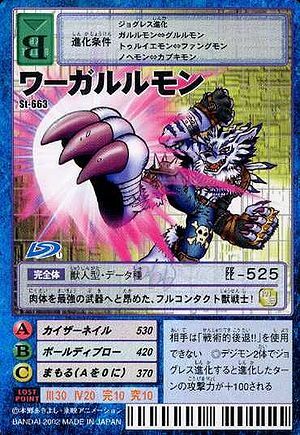 ◎On the turn during which you evolved into this Digimon by Jogress evolving two Digimon, add 100 to your attack power. This page was last modified on 3 December 2016, at 21:35.